Hunting and fishing aren’t the only adventures at Dunaway. Whether you enjoy sport shooting or living it up outdoors, Dunaway has activities sure to please every member of your family. Dunaway gives you and your family every opportunity to appreciate the outdoors. Activities extend beyond hunting and fishing as a safe and secure place for your family and friends to enjoy nature throughout the year. 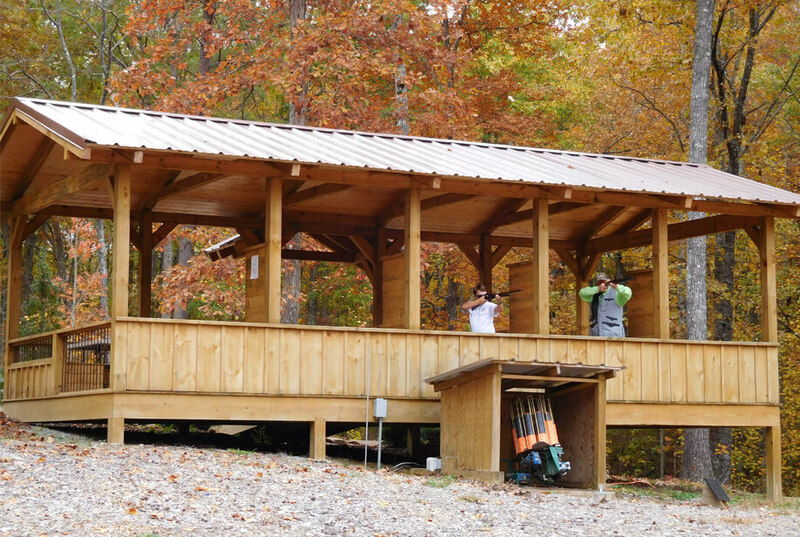 “There is no end to outdoor activities at Dunaway, or to all the quiet peacefulness you could ever want.” – Jay J.
Dunaway provides a variety of fun, safe sport shooting venues for you and your family. Try your hand at our 5-stand compact clays course, or hone your skills at our rifle and pistol range or archery course. The Dunaway staff offers shooting safety training for members and their families to ensure Dunaway is a safe place to hunt and shoot. Our 5-stand clays course is a fully automated system with eight different trap shot presentations and voice-activated controller, offering members shooting access anytime of year in an all weather structure. Prefer a day on the lake? Take a dip off one of our three swimming platforms, or better yet, hop on your favorite canoe, paddleboard, or kayak and create bigger than life adventures with your children as you explore 95-acres of water. 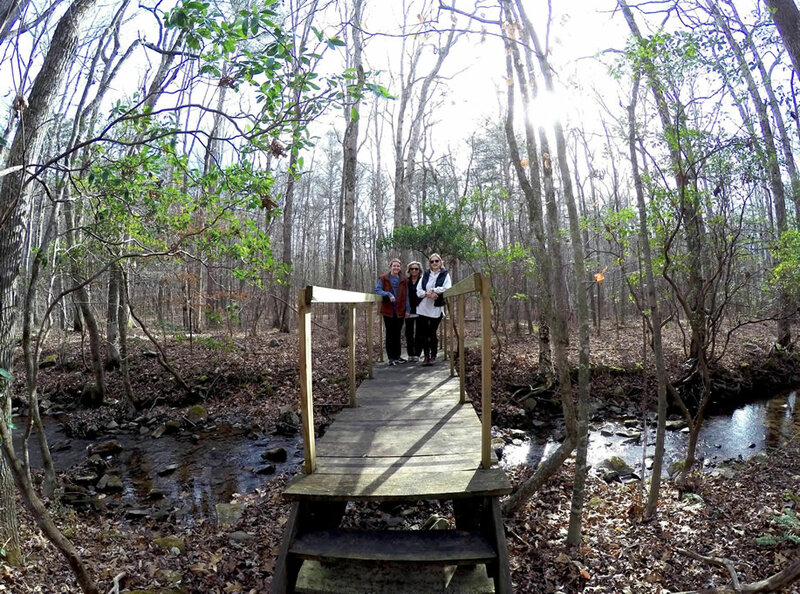 Enjoy a morning hike on one of our designated hiking trails, or blaze your own trail in the pathless woods. The choice is yours at Dunaway. Looking for a day of relaxation and solitude? It can be found at Dunaway. Cozy up next to a fire reading your favorite book, or enjoy a quiet spring afternoon on your front porch. If off-road excitement is what you’re after, Dunaway offers you miles of riding opportunities on the property. Whether you want to sling mud and test your navigationskills, or simply enjoy a ride along our ATV trails, there’s never a shortage of adventure. Want to enjoy the nearby areas of Dunaway? The quaint town of Dunlap is only 15 minutes from Dunaway and offers all the necessities including a major chain store/grocery, dining, and antique shopping. Just next door is the Savage Gulf State Natural Area with more than 15,000 acres of scenic wilderness including sandstone cliffs, waterfalls, and spring wildflowers. Or, head 20 minutes down the road to Fall Creek Falls, Tennessee’s most visited state park. There you can golf, hike, zip line, fish, or horseback ride. There’s never a loss for adventure at Dunaway. The only thing you have to do is decide what’s next.